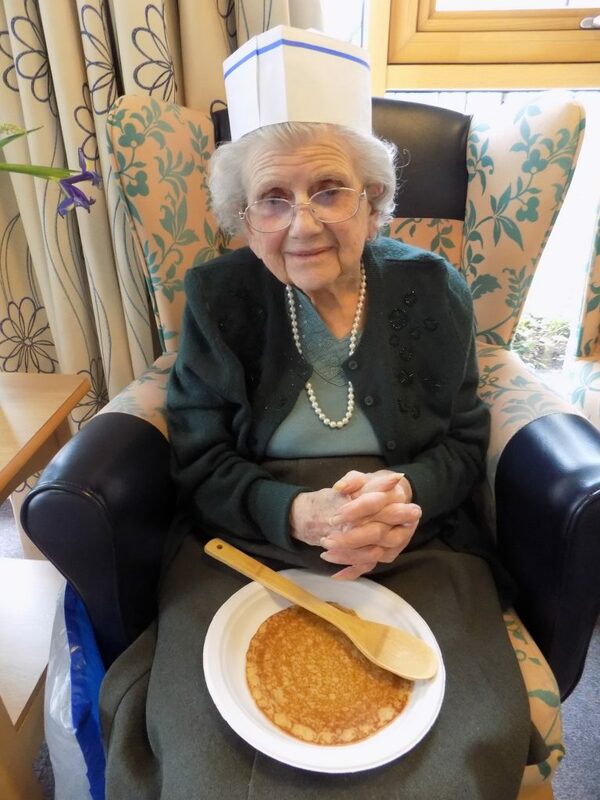 27th February 2017 Pancake Day ! 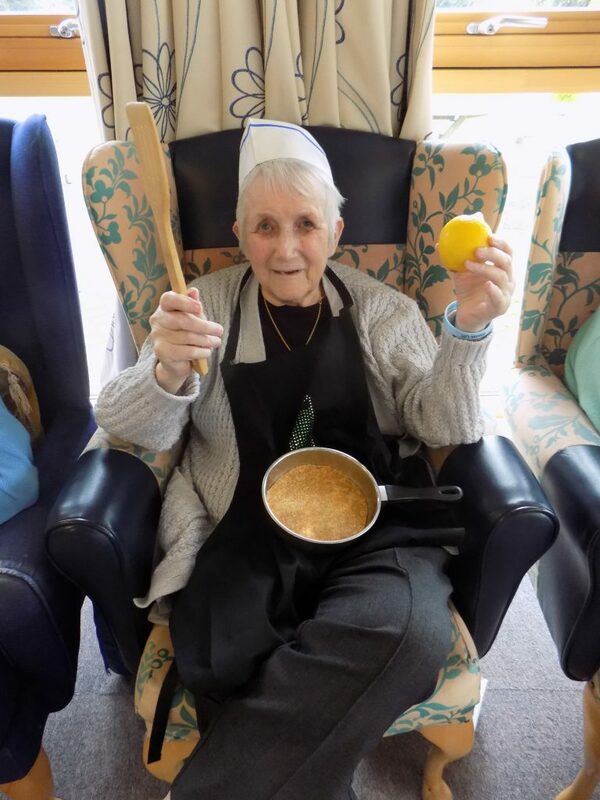 Pancake Day saw our ladies playing a game of chance and trying out their juggling skills as Sue and residents…….played a pancake game. Rolling the dice the ladies had to collect a hat, apron, pan, spatula, lemon and pancake. First to collect all six were named the winner and asked to try out their juggling skills for all to see by flipping the pancake what great sticky fun!